A mathematician recently calculated that eBook readers ‘gain weight’ when you add new books to your library – due to the energy ‘gained’ by electrons when they store information, and the weight of that energy. Filling a Kindle with books causes it to gain an infinitesimally small amount of mass – so small that it gains 100,000,000 times more when you recharge the battery. Now a YouTube science channel has used the same mathematics to calculate the mass of the entire internet. Surprisingly, the whole thing weighs just 50g – around the weight of a single (large) strawberry. But the actual information in it weighs less than a speck of dust. Vsauce says that the 50g figure is the weight of all the electrons in the electricity required to make the internet work – assuming 75-100 million servers supporting the internet, and not including the home PCs running it. WHY DOES INFORMATION WEIGH ANYTHING? The calculations use Einstein’s famous E=mc2 formula, which relates energy to mass. Electrons which ‘store’ data in a device have higher energy than electrons which don’t – therefore the device weighs more. The difference in weight in gadgets full of information and ’empty’ gadgets is far less than the difference produced by charging the battery, or wiping dust off the screen. Prof Kubiatowicz’s findings about Kindles ‘gaining weight’ are based on the fact that, while downloading an e-book does not change the number of electrons in an e-reader, those electrons holding data have a higher level of energy. The relationship between energy and mass – famously summarised by Einstein as E=mc2 – means that those with a higher energy also have a higher mass. The whole lot equates to around 40billion watts – which weighs in around the same as a plump strawberry. If you include all the home PCs using the net, the figure is roughly three strawberries. The weight if you’re just counting the data stored in the internet is much less. It’s difficult to quantify how much data there is in the internet – Vsauce used a (dated) estimate by Google’s Eric Schmidt. 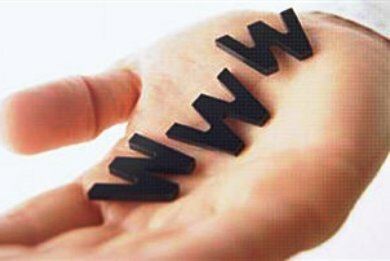 Schmidt guessed that there were 5,000,000 terabytes of information in the internet – of which Google indexed 0.04 per cent. 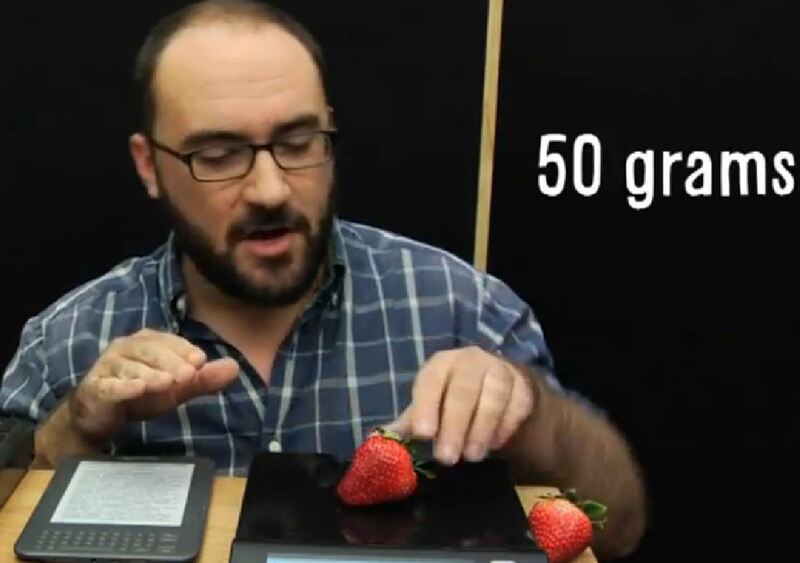 The entire weight of that information would work out, Vsauce estimates, to 0.02 millionths of an ounce. Raghavan and Ma came up with their total by conducting a rough internet census. By drawing on previously published research, they estimate that our planet is home to 750 million laptops, a billion smart phones and 100 million servers. Their final answer sounds big. 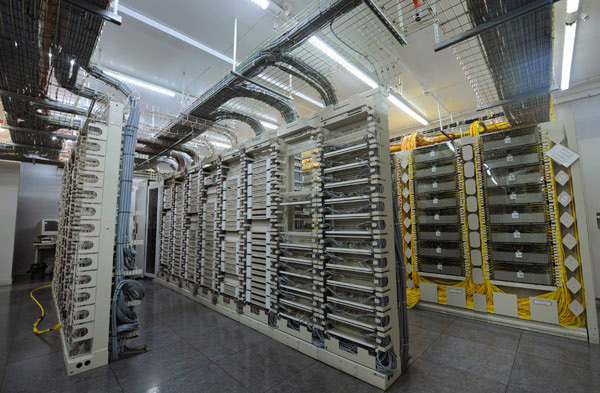 A gigawatt is a billion watts, so running and maintaining the internet is a like illuminating several billion 100W bulbs simultaneously. But it’s a small number compared with global energy use across all sectors. That figure is 16 terawatts, so the internet is responsible for less than 2 per cent of the energy used by humanity.